Want to rescue your diet? Renew your approach to eating? Refresh your attitude toward food? Lorelle can help you create an eating plan that meets your lifestyle and fitness goals. 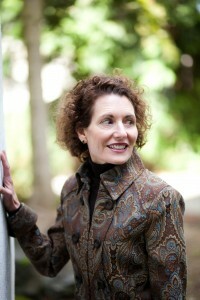 Learn about her in the following interview, adapted from Inspire magazine, November 2012. What do you want your clients to know about you? I’m not the Food Police. My motto is “savor the art of healthy eating.” I was a cook and studied French cuisine in Paris before getting degrees in dietetics and nutrition, so I don’t compromise good taste for good health. If you believe healthy eating is a boring and lackluster check out my blog posts and recipes on lorelledelmatto.com. My goal is to translate the science of nutrition into a roadmap that guides your journey to better nutrition at the grocery store, in the kitchen and at the table. I practice nutrition counseling to help individuals achieve long-term behavior change and improved health. Why do you think diets fail? Many “diets” actually work great! People lose weight but they can’t keep it off because the diet is too restrictive or eliminates key food groups. Other programs make you buy processed diet foods (shakes, bars, etc.) which skirt the issue of learning to eat healthfully under the demands of every-day life. These diets lead to boredom, cravings and worse. One word: lifestyle. I take an individual “food & lifestyle” approach to helping people meet their goals. My clients want to enjoy life and make healthy choices in restaurants, on vacations, at parties, and while negotiating the demands of busy careers and personal lives. Challenges to eat well vary depending on your stage of life, work, travel demands, home responsibilities and health status. It’s never too late to benefit from improving your diet. Research shows that making small changes, over time, can add up to big results that are highly effective and lasting. Even a 5% to 10% weight loss can cause significant improvements in health. Tweaking the types of foods you eat, timing and distribution of calories can have a big impact on how you feel.